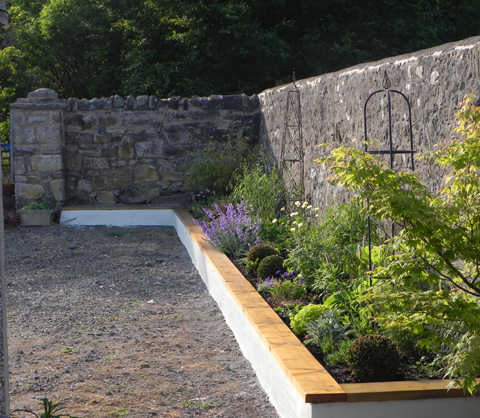 Practicalities, aesthetics and our customer’s lifestyle are of equal importance when designing a garden. We frequently find that customers know what they want but need help with the more creative aspects which merge the individual areas to make the garden flow. We will produce a design for your garden or the area within it that you want to develop. Our design service is part of the overall package, and is based on your requirements and the ideas we develop together at the initial consultation. Our patios and paths are laid to a high standard with careful consideration given to drainage and run-off areas. 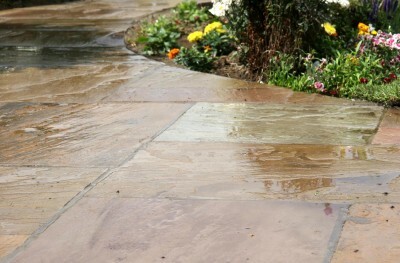 Whether you want a simple path or a shaped patio, we will help you to choose the type of paving and the shape and style which enhances your garden. Patterns can be created using different sizes of paving and sweeping curves can be cut, as in the picture opposite, to add character to your patio. We specialise in all types of timber fencing from simple picket fences to bespoke fences which compliment your garden. 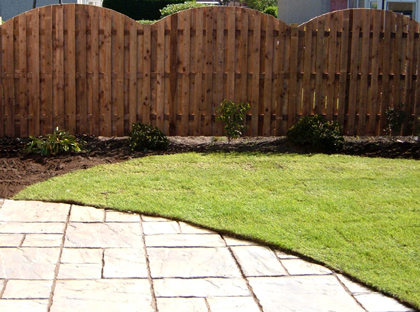 We can give you advice on the styles that will suit your garden and your budget. Our fences are individually designed to enhance the overall appearance of each garden, features such as curves or shapes can be included. 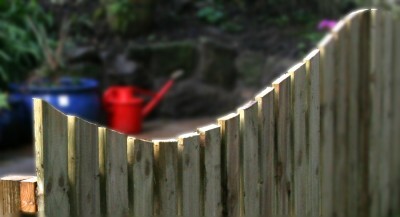 All our fences are securely installed and are guaranteed to be wind and weather proof. We use pressure treated timber which is resistant to rot. Decking is a fantastic option for some gardens, but does not suit them all. When considering introducing a decked area into your garden, you should be aware that it will require some maintenance. However, decking does offer the possibility of having a seated area anywhere. 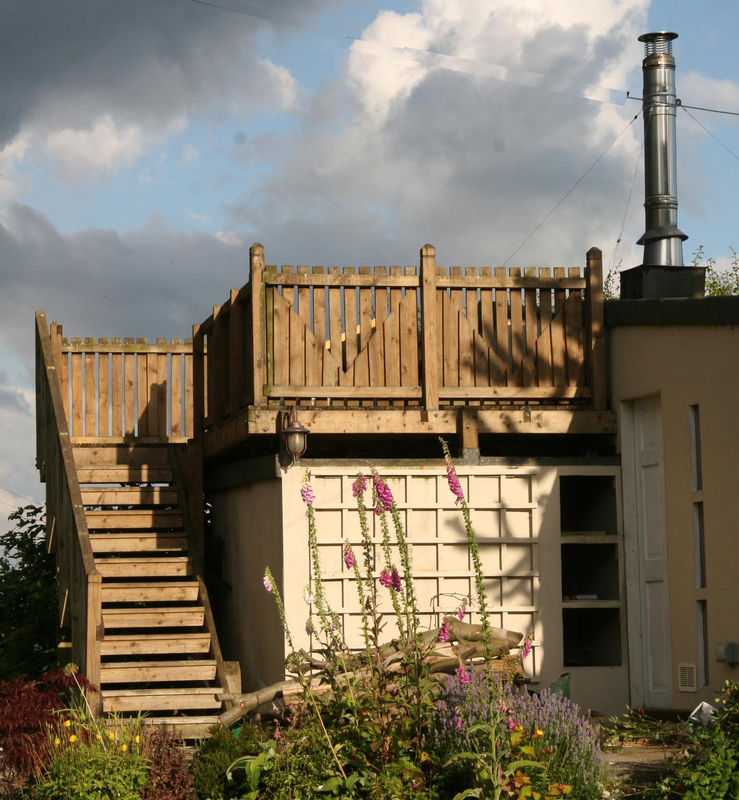 In the photograph left, we used the area above a flat roof to build an elevated deck offering the customer panoramic views as well as creating a lovely sun trap. There are a variety of materials that can be used for creating raised beds in your garden. Cobbles or rendered block are examples of raised beds with a hard finish, whilst sleepers or wooden logs offer a softer more natural feel. Attaching wood on the top edge such as in the photo (right) offers a nice finish to your raised bed as well as providing a convenient perch to sit on while you potter with your plants. We can help you to decide what materials to use and develop a design to fit into the look of your garden. We are experienced at laying turf and understand the requirements needed to ensure that a healthy lawn will flourish in your garden. 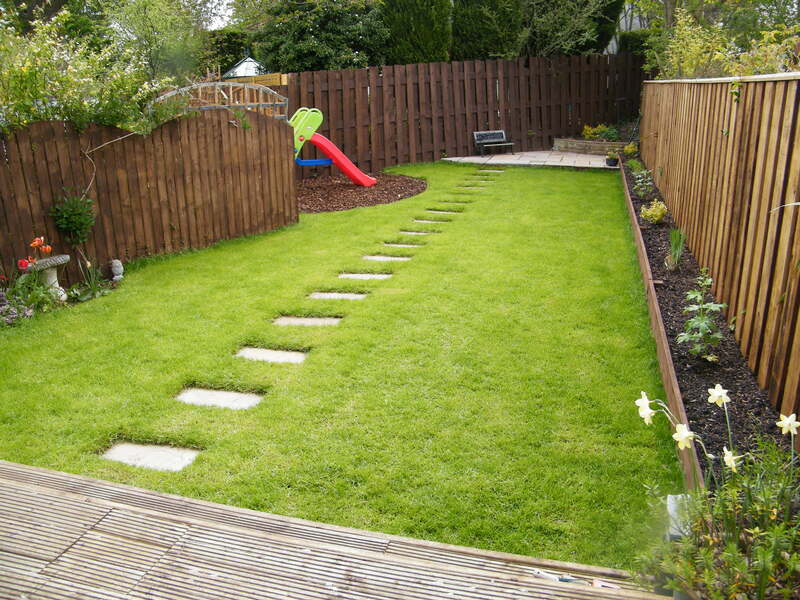 Although more expensive than seeding, laying turf in your garden produces an instant lawn. Shaping the lawn, as shown in the picture at the top of the page, may create a softer flow to your garden. 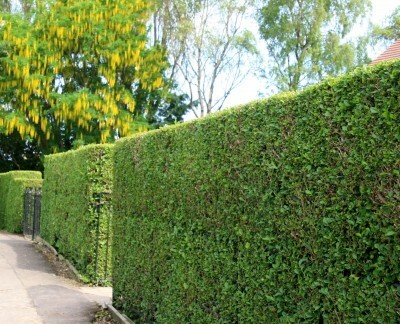 If your garden has become overgrown we can provide a one-off visit to carry out a general tidy-up. This includes grass cutting, weeding, hedge cutting and pruning. We are happy to give you suggestions on ways to make your garden more manageable.